Bird, one of several dockless bike and scooter companies taking part in D.C.'s ongoing dockless pilot program, has deployed a fleet of scooters across the river in Arlington County, Virginia, but through no official arrangement with the county. WASHINGTON — Bird, one of several dockless bike and scooter companies taking part in D.C.’s ongoing dockless pilot program, has deployed a fleet of scooters across the river in Arlington County, Virginia, but through no official arrangement with the county. 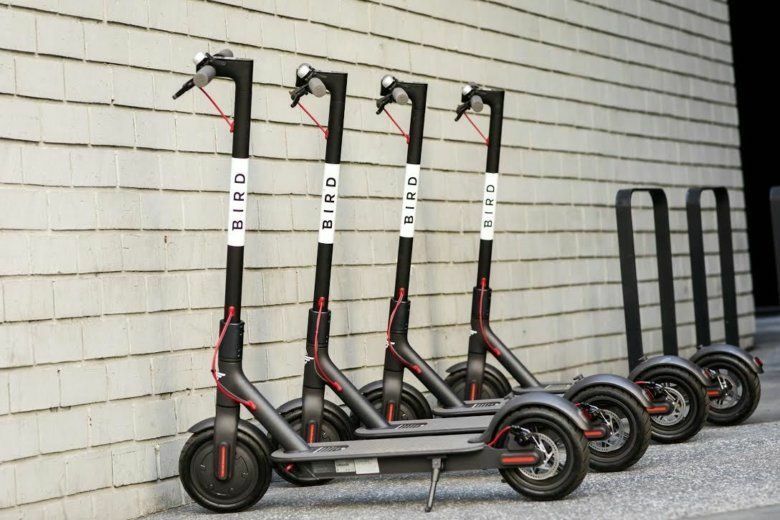 Bird said its scooters are available throughout Courthouse, Clarendon, Ballston, Columbia Pike and Crystal City. It will expand its Arlington fleet as ridership grows, the company added. Though Arlington County may at some point consider an experiment with dockless bikes and/or scooters as a commuting option, it is nowhere near a decision, and Bird may find itself being run out of the county. “We will be having discussions with the county manager and the county attorney’s office on how to respond to Bird’s deployment in Arlington,” he said. When asked by WTOP if Bird had an arrangement with Arlington County for its scooters, a spokesman for the company did not immediately provide an answer. Bird, and fellow dockless operators Lime and Spin, were temporarily put out of business in San Francisco for setting up operations without permits. The San Francisco Chronicle reported earlier this month the city mandated all three companies cease operations while they apply for permits. The Chronicle said the city also impounded improperly parked scooters. Several companies have applied for permits now, with San Francisco expected to issue permits to a handful of them by the end of June.